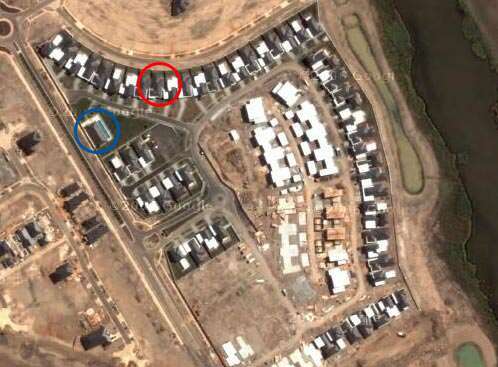 So here is the first picture of our estate on Google Maps… as you can see our home is the one in the red circle. The blue circle is the gym and the swimming pool. You can see pics of these on Flickr; here’s home. Now the family can find their way to our place, even from Sydney!